Khaolak Resort - Casa de La Flora, Khao Lak Resort Thailand - Hotel Official Website. Food is central to Thai life. So much so, that a common way to greet friends and family members is to say hello, then "Gin khao rue young?" - Did you eat yet? Steeped in tradition, Thai food not only embodies the unique recipes handed down through generations, but an almost ceremonial approach to how dishes are served and paired known as "Sum Rap Thai" meaning a Thai set. These steamed sea snails are very similar to eating steamed mussels - but a whole lot more exciting as they come with a zesty, spicy dipping sauce. And of course, they’re fresh from the ocean every day. Grab a fork and get shucking! It just wouldn’t be Thailand without a curry! Khanom Jeen is a type of rice noodle found all over Thailand, in this case topped with a rich fish curry. Combining ingredients and flavors like Lemon Basil and Fingerroot (a relative of ginger) this is unlike the traditional Thai curries you will be familiar with. 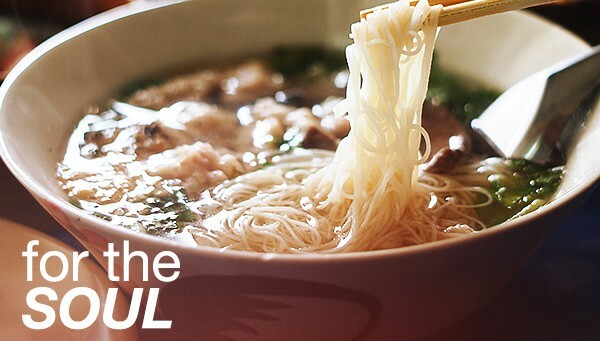 The ubiquitous noodle soup is a bonafide Thai soul food with limitless local variations. Mee Sua Soup uses a Chinese variety of noodle, in a rich broth with meat and eggs. Don’t be fooled by the simplicity, this soup is a rich hearty pick-me-up and the perfect way to recover from last night. Utter this phrase in Bangkok, and people might look at you like you’re crazy. It’s not your accent either, this dish is a local secret of the South! Fresh cooked octopus is combined with lemongrass, lime, chili and more to make a breathtaking salad full of bold flavours. The Chinese influence is clear in this part of Pang Nga. The old trade routes and mines have long been closed, but the food lives on and this traditional Dim Sum is a perfect way to start a relaxed day of sight-seeing.